CRUSH FRIDAY THEN STAY THE WEEKEND!!!! Why let those vacation days go to waste…Crush Friday on Virginia’s only resort island. Chincoteague is the perfect getaway that is close to home, yet miles away from ordinary. Explore the Chincoteague National Wildlife Refuge on miles of hiking and biking trails, kayak its pristine waters to see amazing wildlife; including the world famous Chincoteague Ponies or take in the breathtaking views from atop the Assateague Lighthouse. Relax with your toes in the sand or hit the water and surf the Atlantic Ocean waves at Assateague Island National Seashore. Feel the wind in your hair on a boat cruise or sailing adventure. Cast a rod and catch the ‘Big One’ on an inland or off-shore fishing charter. Discover our rich history by visiting our museums or taking an island tour. Partake in delectable seafood and local fare from one of our many charming restaurants or eateries. Find that perfect treasure by shopping our eclectic shops and art galleries. Experience this and so much more on a little island seven miles long and a mile and a half wide. Are itineraries your style? We have them too! Crush Friday then stay the weekend! Check out the island’s schedule of events to make your visit complete. 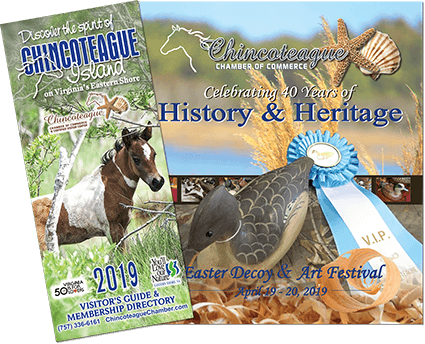 Learn more about Crush Friday with the Chincoteague Chamber of Commerce Crush Friday Press Release. for you to Crush Friday on Chincoteague to make your visit most memorable. Arrive on a Thursday for a 3 night stay and enjoy a waterfront suite, hot breakfast each morning, late check-out on Sunday and a $50 Gift Card to Steamers Seafood Restaurant & Sports Bar. Make your reservations now with the special rate code PCRUSH. Click to view the Crush Friday Package Flyer. Welcome to Crush Fridays at the Fairfield Inn & Suites, by Marriott, Chincoteague. Each Friday we are honoring a 15% off to Crush Rates for our Crush Fridays Promotion. Call Directly to the Fairfield Inn & Suites, by Marriott & ask for the Crush Fridays Discount. Valid offer on all room types. Based upon availability & stay must include a Friday. Restrictions may apply. Let us help you Crush Friday in the Summer of 2018! Beginning Friday, June 1st, and lasting through Friday, September 14th, receive a 15% discount on a 2 or more consecutive night stay! The offer is not valid on existing reservations and cannot be combined with any other promotion or special. You must call us directly at 1-877-870-3434 and mention “Crush Friday at the Waterside”! Promote Crush Friday and bring guests to your business!